A recipe for longevity and success: meeting customers needs through innovation and diversification. The business, R & D Schofield has survived and thrived from 1919 to this day. 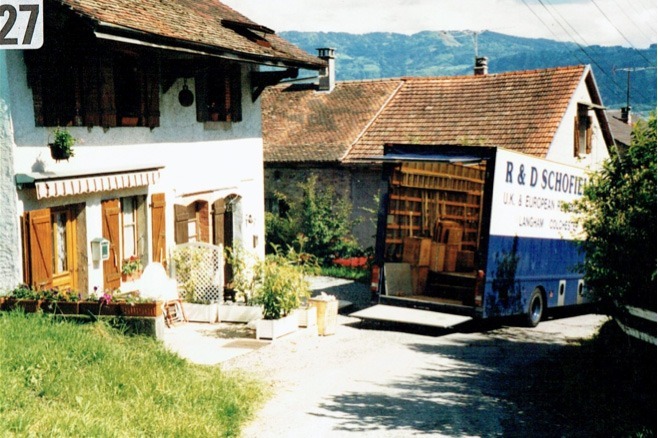 The reason for this removal company’s continuing prosperity is its inherent willingness to help customers, its culture of flexibility and resourcefulness and customer centred approach to business. From the earliest beginning and down through the years these winning attributes are obvious to see. 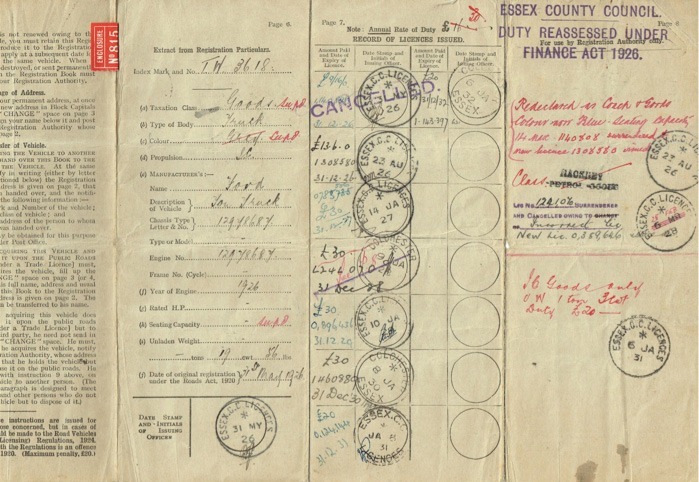 Mr Robert Douglas Schofield started his local carrier’s service in Langham, Boxted and Colchester with nothing but a horse-drawn delivery van. 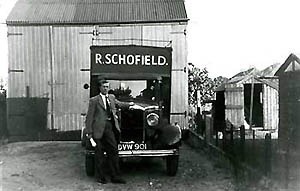 1926 saw the purchase of Schofield’s first motorised vehicle, a Model T Ford. Among the items it was used to carry were rabbits, chickens, eggs, tobacco and even eels caught at Boxted Mill! The 30’s saw further motorised expansion for the company as the Ford was replaced by a Morris-Commercial van. 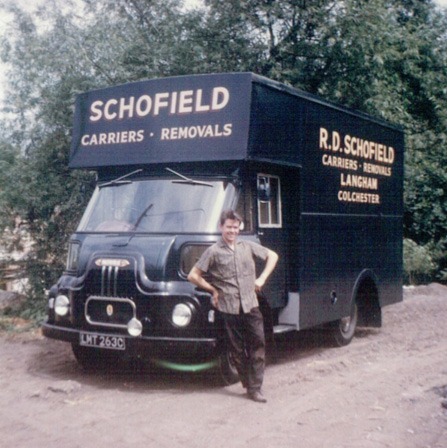 Being a larger vehicle, Mr Schofield began to use it to attend local auctions and private house sales, thus beginning Schofield’s work in the delivery of household furniture. 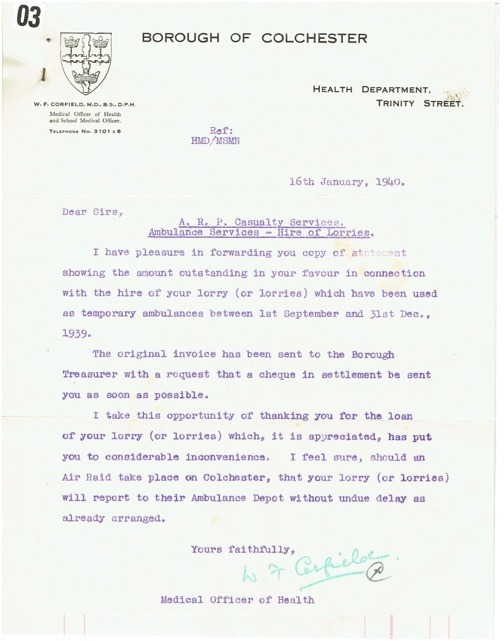 During WWII Mr Schofield and his van were commandeered for use, as necessary, as a temporary ambulance for the ARP Service. In payment for this, Schofield’s received £40 and 1s. Robert Schofield died in 1949 and from then on the business was run by his widow, Violet Schofield and their eldest daughter, Peggy. They replaced the Morris-Commercial van with a bigger 1.5 tonne Bedford and increased the working area to include Arlesford and Wivenhoe. 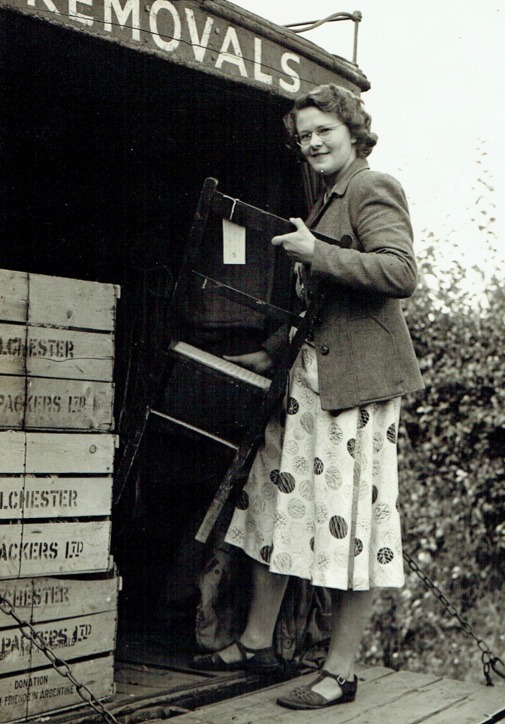 (Photo is of Peggy loading up furniture and eggs to be delivered to the Egg Marketing Board in Colchester). By the 1960s Mr Schofield’s eldest son, Robert has returned from his National Service duties and, along with his younger brother David, took over the running of the business. This decade saw a great growth in the business with the purchase of three additional vans and the beginnings furniture storage. With the oil crisis in the 1970s, 1974 saw the start of fuel rationing. As a removers and carriers service, Schofield’s were allocated extra coupons each month to allow us to continue trading. The 70s also saw us move to a brand new premises at The Maltings in Stratford St Mary. This allowed us to purchase bigger trucks and also to expand the storage side of the business. 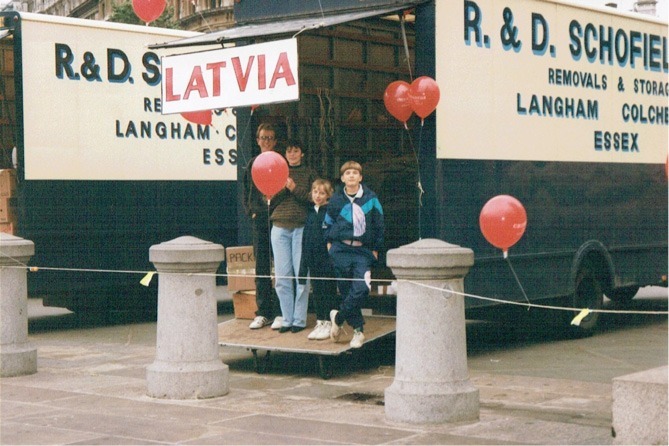 The 1980s saw us begin to make regular trips to Europe and to London and we started to become involved in charity work. In 1981 we took part in a Christian Aid collection of filled boxes to be sent abroad. 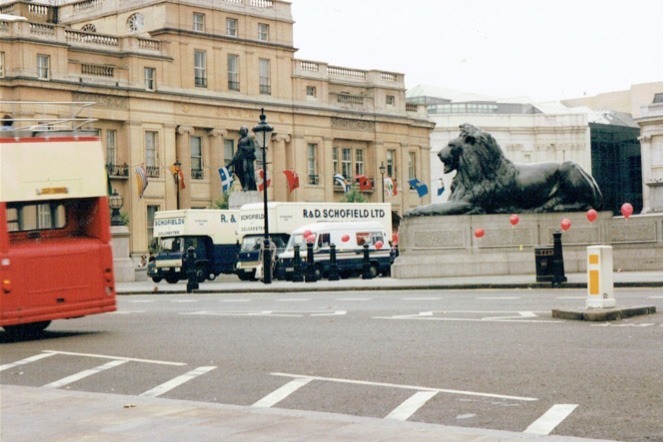 We parked up two of our trucks in Trafalgar Square and collected donations. The 90s saw the continued expansion of the business as we journeyed further and further afield. 2012 saw us move location again. 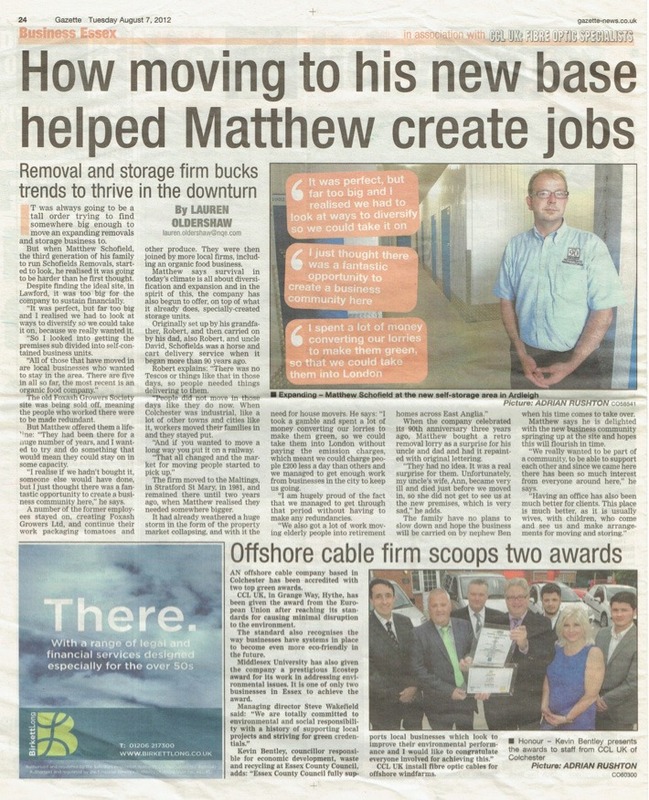 The company was expanding and we needed ever more space to park our trucks and to store the goods of our customers and so we moved to our current location at Foxash Estate in Lawford. All of this extra space meant that we were able to open up our very first self-store units. 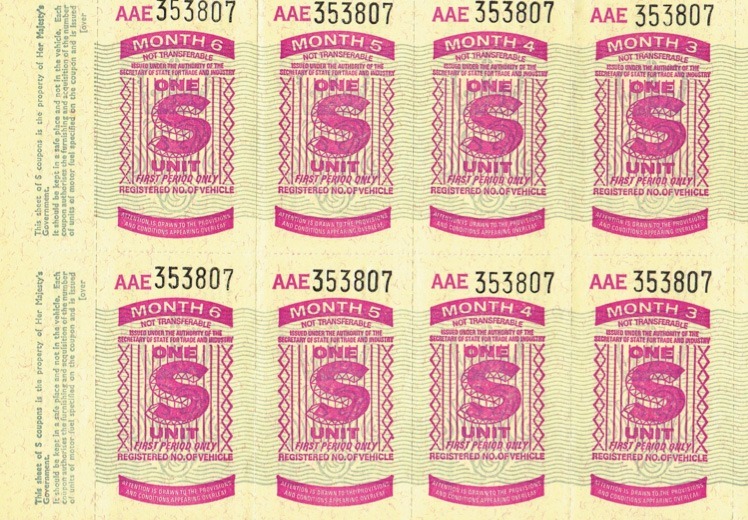 The popularity of these units resulted in us adding an additional 50 units only 2 years later. 2019 sees our 100 year anniversary! 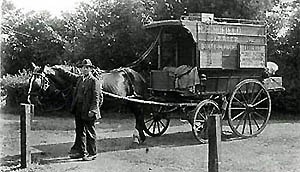 From humble beginnings with nothing more than a horse-and-cart and packages to deliver, we have grown to become an expert and trusted name in removals and storage and have moved people all over the world!